This picture can be accurately dated to 3 June 1920. From the book Wings Over Hong Kong. An "Air Day" is in progress. Several aircraft attended brought over from Macau. The Governor attended and had his first flight. The pier can be seen. Other pictures show a number of steam launches using it. Permalink Submitted by HO Lim-peng on Wed, 2012-05-02 14:12. Fairey IIIE floatplane from the Portuguese Air Force base on Taipa Island. Permalink Submitted by C on Wed, 2012-05-02 18:20. Thanks! This might be a bit off topic, but besides the book by Garrett published by the HK University Press, are there other English or Chinese books on the military history of Macao? Permalink Submitted by IDJ on Wed, 2012-05-02 21:33. The aircraft shown is actually an Aeromarine float plane of The Macao Aerial Transport Company started by Charles de Ricou in 1920. He imported a number of aircraft to Macao along with American pilots and mechanics to run an airline spreading out from Macao to Hong Kong, Canton, Shanghai and Hanoi. A number of exploratory flights were made but the venture failed due to problems with Portuguese government officials in Macao and the British military in Hong Kong worrying about aerial spying of their defences. The Portuguese Navy Fairey 111s arrived in Macao later in the early 1930s. See the book in English and/or Portuguese titled 'Aviation in Macau 100 Years of Adventure.' These were available at the Macau Maritime Museum shop at one time. The previously mentioned book 'Wings Over Hong Kong' is still available in Hong Kong bookshops. 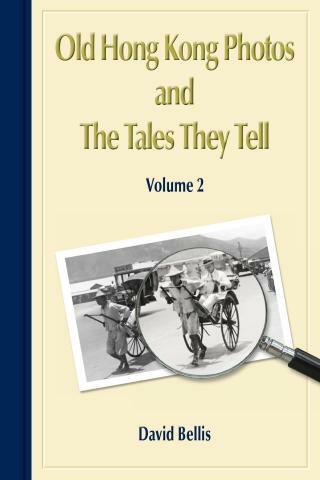 It has a chapter on the Macao Aerial Transport Company with contemporary pictures. Permalink Submitted by IDJ on Sun, 2017-07-02 16:25. The Repulse Bay Hotel text errs in respect to an air service in 1918. The image of an aircraft on the beach at Repulse Bay is related to ‘Air Days’ in June 1920 promoted by Macau entrepreneur Charles de Ricou who was publicising his Macau Aerial Transport Company. There is plenty of newsprint available from the time describing these events in detail. de Ricou wanted to operate air services to Hong Kong and destinations as far apart as Shanghai and Haiphong. Despite making exploratory flights the company failed to take off. In the 1970s, there were serious proposals for a HYF Repulse Bay-Central District commuter ferry service. Traffic congestion on the narrow roads across and round the Island, and decrepit CMB buses on the southern routes were major problems at the time.